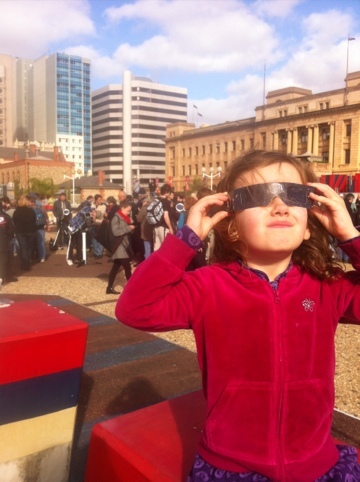 I had an errand in the city today which provided the perfect opportunity to hang out at the Astronomical Society of South Australia’s public viewing for the Transit of Venus. 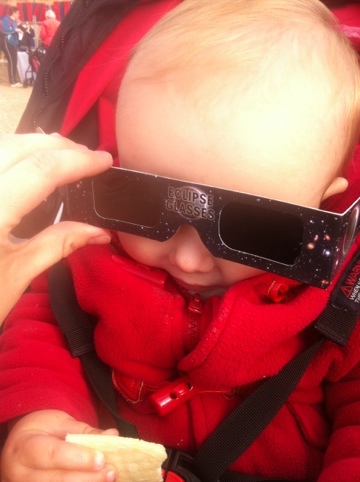 4.5 year old seemed to be slightly disappointed with the actual view through her solar glasses (it’s hard to match reality with imagination) but after a few drawings and another explanation over hot chocolate afterwards she got belatedly excited. I think she’ll love this memory ehen she is older. I remember being a bit disappointed by the smudgy Halley’s Comet when I was a child, but now it’s a cherished moment of wonder.